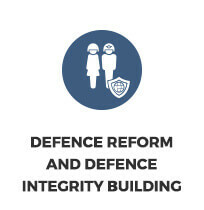 DCAF maintains that a democratically run, accountable and efficient security sector is fundamental to people’s livelihoods, to reducing poverty and the risk of conflict, and to creating an enabling environment for sustainable development. III) contributing to international policy and knowledge development in the area of good governance of the security sector. Many states seek support from DCAF to design and implement inclusive and participatory reforms aimed at enhancing the effectiveness and accountability of security provision. 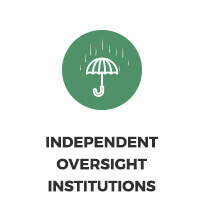 Our work with national partners succeeds because it is informed by respect for national ownership, in-depth knowledge of local contexts and comparative experiences from different geographical regions. Providing policy and legal advice, as well as comparative experience to support national actors on how to enhance the governance of the security sector. Supporting institutional reforms to strengthen integrity, transparency, accountability and respect for human rights within the security and justice sectors. Supporting the development of effective parliamentary oversight of the security sector. Supporting the development of inclusive national security policies and strategies. Establishing communication systems and practices to engage and build trust between the state and its people. 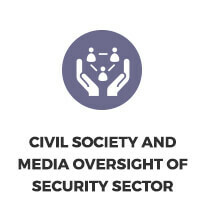 Building the capacity of civil society through providing access to independent expertise and information on security sector governance and reform. Supporting the private sector’s efforts to operate in line with the principles of security sector governance. 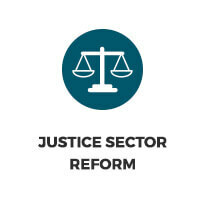 Security and justice reforms are often carried out with extensive support from international actors, either through bilateral donor assistance or in the framework of cooperation with multilateral organizations. Helping bilateral and multilateral actors become better international partners in supporting SSR is a core dimension of DCAF’s work. Promoting norms and good practice in the area of good governance of the security sector. Supporting policy development and guidance. Capacity building of international actors to effectively contribute to nationally led reform processes. Facilitation of coordination efforts and coherence among international actors according to aid effectiveness principles. Supporting needs assessments, design, monitoring and evaluation of SSG/R programmes in line with international good practice. Indirectly managing programme funds in the area of SSG/R. 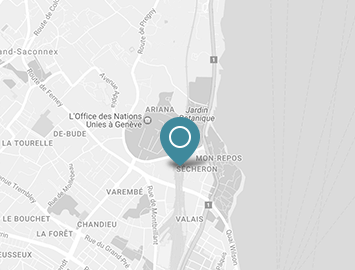 Support to the implementation of international treaties and multi-stakeholder policy initiatives by providing secretariat and expert backstopping services. 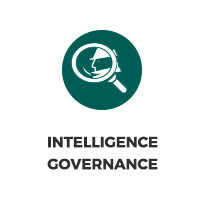 As a leading world centre of competence in SSG/R, DCAF contributes to international discourses on development, peace and security policy, as well as to norms, standards and good practices. Input to and facilitation of multilateral and national policy processes. Undertaking research that fills knowledge gaps and informs policy debates. Development of guidance products that that bridge research, policy and practice, and which are openly accessible and available in multiple languages. Identification of trends and challenges in the area of democratic and security sector governance. The International Security Sector Advisory Team (ISSAT) provides practical support to the international community, in improving security and justice in conflict-affected and fragile states. ISSAT works with a group of member states and institutions to build their capacity, enhance the effectiveness and quality of SSR programming and to facilitate the coordination and coherence of of international assistance for nationally driven SSR processes. 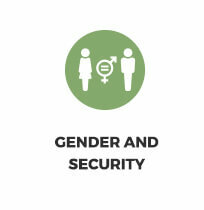 Goal 5 seeks to achieve gender equality, and the empowerment of all women and girls. While good governance of the security sector is especially relevant to ending violence against women, the security sector will also be essential to progress in other aspects of gender equality identified under Goal 5, including ending discrimination, providing equal access to property rights, equal participation and opportunities for leadership in all areas of public and political life (including for security affairs), and enforcing law that promotes gender equality and the empowerment of women and girls. Goal 11 emphasises the state’s responsibility to provide safety in urban spaces and specifically singles out the right of all individuals to experience safety in housing, transport, and public spaces, without prejudice to gender, age or ability. A well-functioning security sector that is effective and accountable within a framework of good governance, rule of law and respect for human rights is essential to achieve this goal. Goal 16 addresses well-known drivers of conflict, injustice and insecurity by committing states to “promote peaceful and inclusive societies, to provide access to justice for all, and to build effective, accountable and inclusive institutions at all levels”. 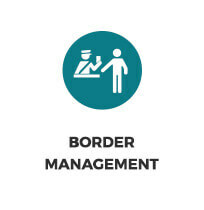 A dysfunctional security sector is often a direct cause or a contributing factor to conflict, injustice and insecurity, and solving these problems therefore requires making the security sector effective and accountable within a framework of good governance, rule of law and respect for human rights.